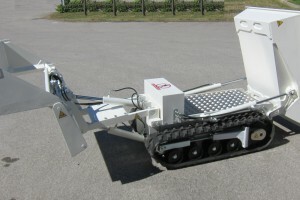 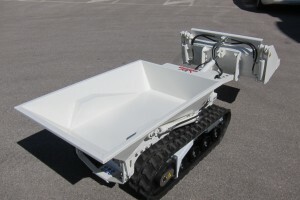 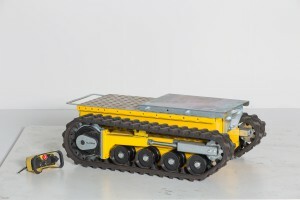 The DCT-350 is a battery-powered electric vehicle on crawlers with remote control, featuring a heavy duty frame and stable track propulsion. 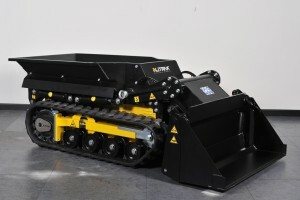 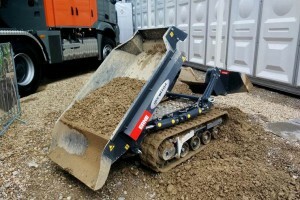 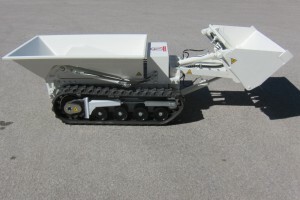 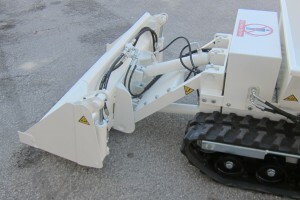 ective in building sites and indoors, in tunnel or underground and in places where tracked traction and zero emission are essential. 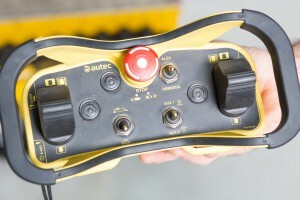 The driving system employed in the DCT-350 is the remote control, which ensures the highest safety standards. 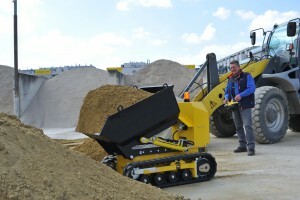 The version “Performance”, with special motors and drivers, allows the best benefits during work and grants bigger autonomy (product image with 220 lt. skip and rear tower with hydraulic pump, not included in the basic version).